We connect to irc.globalgamers.net and join the channel #mlsg. We then type .join to join the pug and .list to see the list of people that have joined the pug. Once we get 10-14 people (depending on what the pug is set for) we pick captains and do a schoolyard pick for teams. The picking order is red, blue, blue, red, red, blue, blue, red, red, blue, etc. Once the teams are picked, we join the morning after server and kick the leeching noobs out. If you do not have teamspeak, or a microphone we do not wish to pug with you. We then play one map with the teams that were set in IRC, while speaking to eachother about the current game on teamspeak 3. Once the game is done, we rinse and repeat. We play the pugs at a professional level, so if you are not professional (among the best) we do not wish to pug with you. Also, once you're connected to irc, type !rules to see the pug rules. 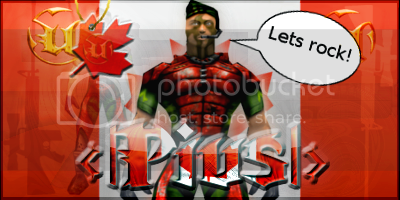 Last edited by <|Pius|>; 08-09-2011 at 10:57 PM. ^ I'm nub and I play buddy (topic owner), how new are you to siege? He's right though in a whole; And yes, you need TS3, I can't speak on it atm but you need to at least be able to listen to orders. You don't have to be elite... at least average skills + comms and you should be fine. Awesome! thanks guys, I have TS3 and I'm not the best SiegePlayer but I play the best I can. But If I wanna join.. do I sign in with "xJayDayRawr" or can I just sign in with "xJay"? I use them both very often. As long as we know who you are, it doesn't matter. This guy has immense talent. You need to improve a little more!! Xjay plays worse than Shadz!!!!! !